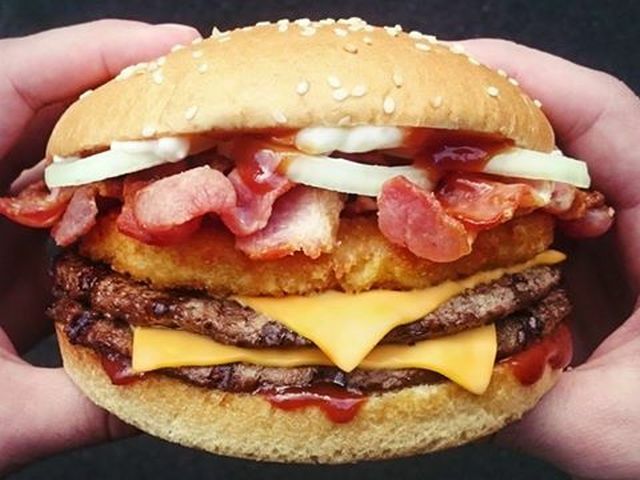 Calling it their new "Meatatarian Range," Burger King offers a series of burgers filled with bacon, beef, and chicken over in New Zealand. The headline burger for the line, the Full Meaty, features two flame-grilled beef patties, a crispy chicken patty, six slices of bacon, two slices of cheese, barbecue sauce, mayo, and onions on a toasted sesame seed bun. If you're not ready to go Full Meaty, there's also the Half Meaty, which includes the same ingredients minus a beef patty and slice of cheese. The selection is rounded out by the Chicken Bacon Meaty, which is like the Full Meaty but with a second crispy chicken patty in place of a beef patty. The Meatatarian Range is only around for a limited time but you don't have to travel so far to get a taste as you can probably custom-order any of the burgers at your local Burger King given the common components (although the bacon in New Zealand appears to be what we call "back bacon" rather than our traditional American-style bacon). 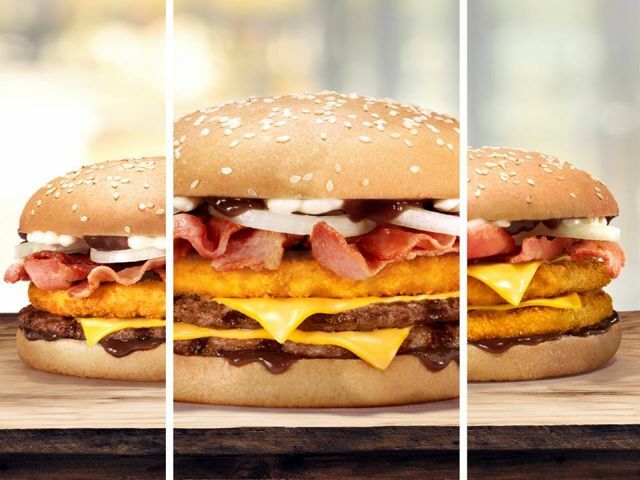 Photos via Burger King New Zealand.